A new tradition began a year ago. It happened to be on my mother’s birthday, which is why this trip is now marked to become an annual event though it was just a coincidence the first time. Mom is gone now, but there is much of her in me. She loved chocolate, and, possibly to my regret, instilled that passion in me right enough–oh yes, indeed. 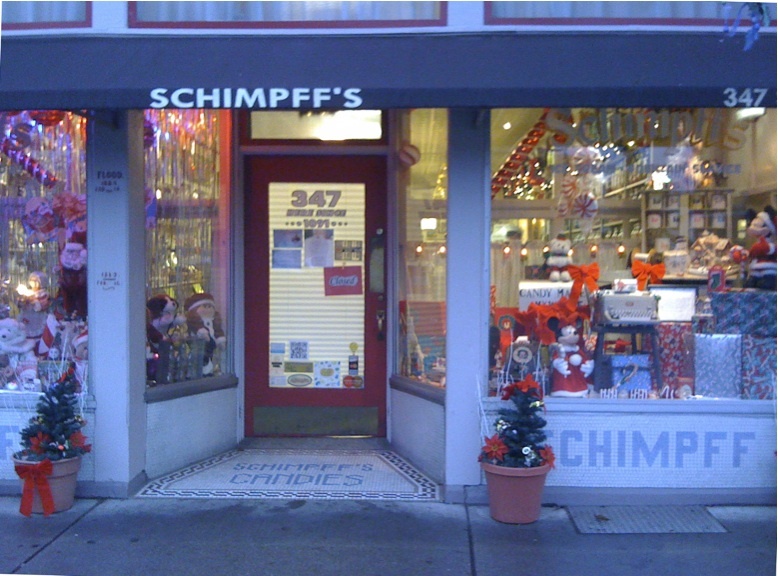 Decorated for Christmas, the place is a fantasy land filled with jars and glass cases of Schimpff’s yummy candy. Ooooh! You can watch them making it in the adjoining space, where that day they were rolling out sheets of glassy hot cinnamon candy on its way to becoming their famous cinnamon Red Hots (they are)! 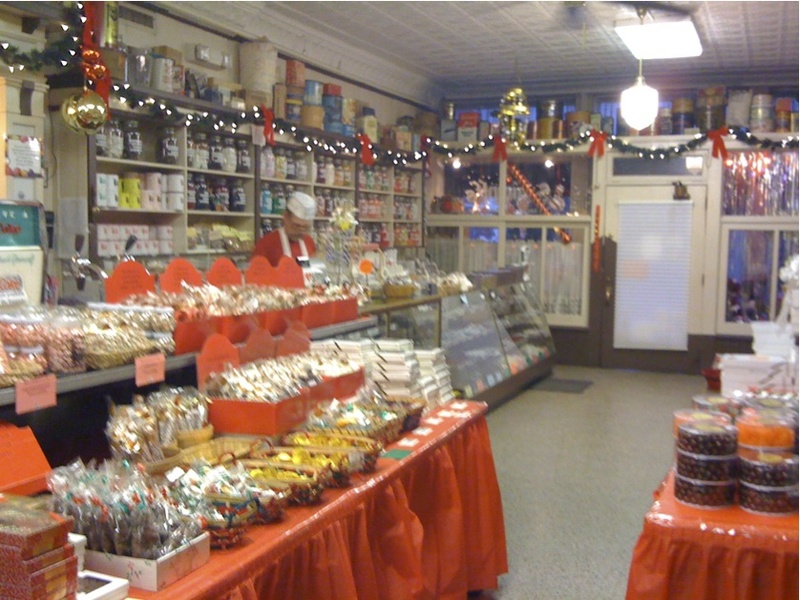 In the back is a fascinating–and oh so nostalgic!–little candy museum that features containers, advertisements, and candy-making equipment from all over the country. Remember these? They were still around when I was very young. 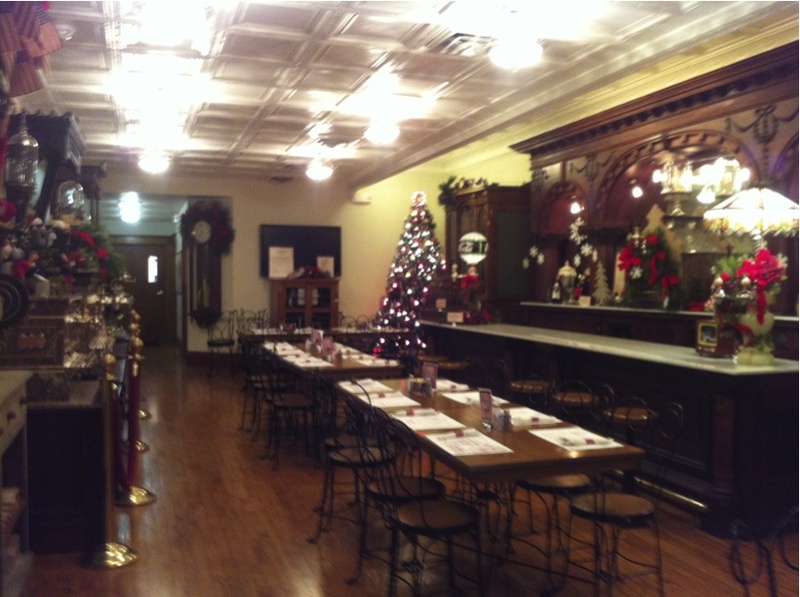 Choosing from among all the wonderful candies was a lot of work, so we decided to have a light lunch in the back, where there is an old-fashioned soda fountain and some tables and booths. 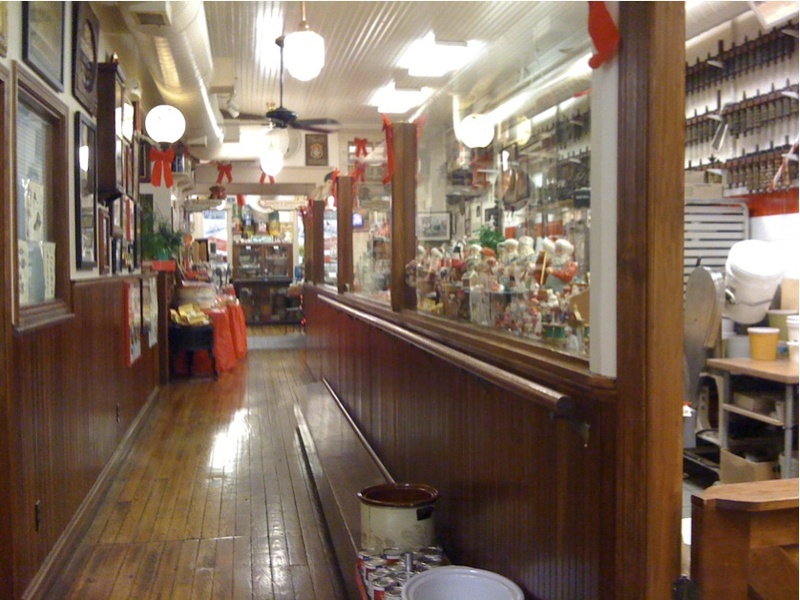 Heavenly days, they had phosphates and venerable lunch counter fare, so I ordered an egg salad sandwich and a chocolate phosphate, just as I used to do when I had lunch with my Mommy and Granny at Kresge’s in downtown South Bend. As I sat bathed in nostalgia I thought what an appropriate place to be. It was my mother’s birthday, and she would’ve loved this place (and probably would have ordered the same thing.) Not only for the childhood memories; she and I used to wander around the state quite a bit and sought out such places–not for us the boring fast food. The tear that fell was one of joy and a sense of her presence. 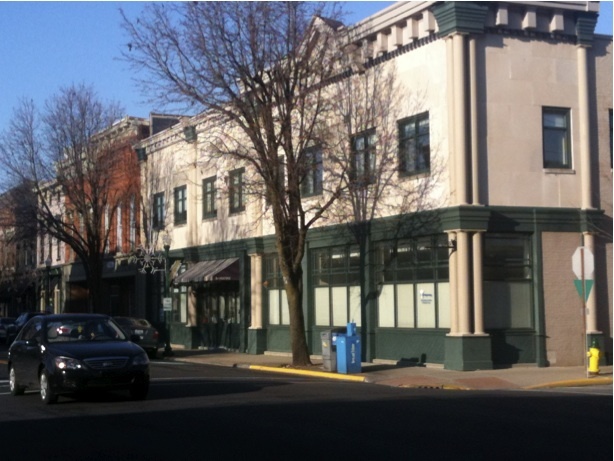 The day was chilly but sunny, just right for a stroll down historic Spring Street with its many interesting shops. 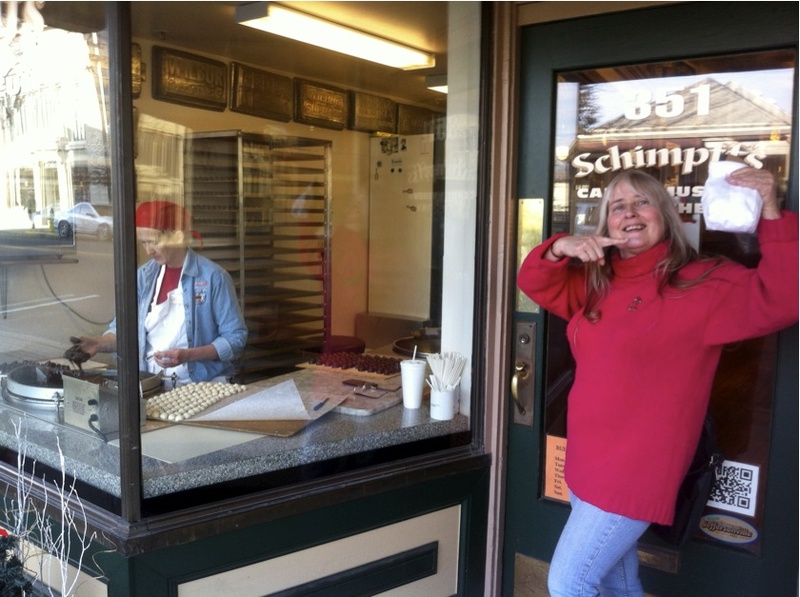 We thought of popping back into Schimpff’s for a chocolate soda–tempting!–but decided instead to stop in Columbus on the way back to Indianapolis. 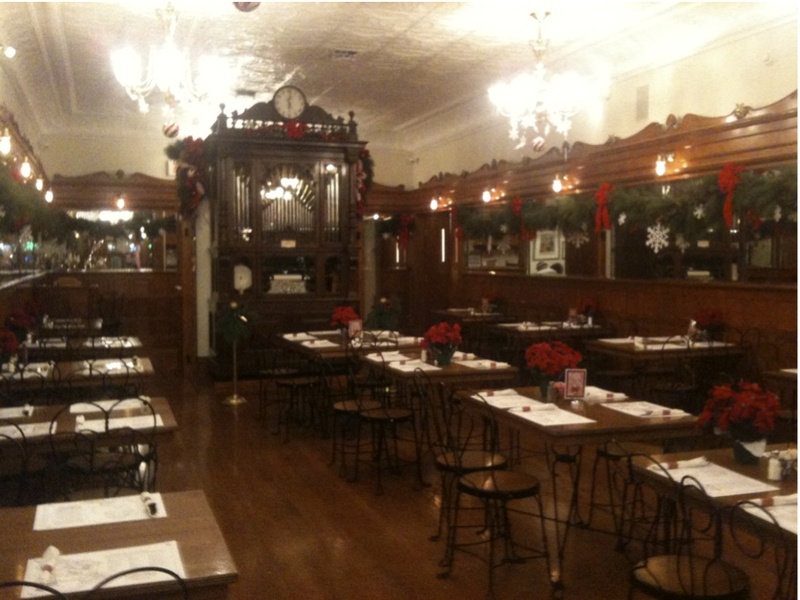 When we entered Zaharako’s, the Welte Orchestrion, which is original to the establishment, was playing a robust and joyful medley of Christmas carols. It made me want to dance (oh wait, maybe I did)! Oh, why not, we indulged in a sundae and drank in the festive atmosphere, not in any hurry to leave. A slow day of peace and joy and wonder in these fast times. And that is why we will be doing it again this year. Happy Birthday, Mom. 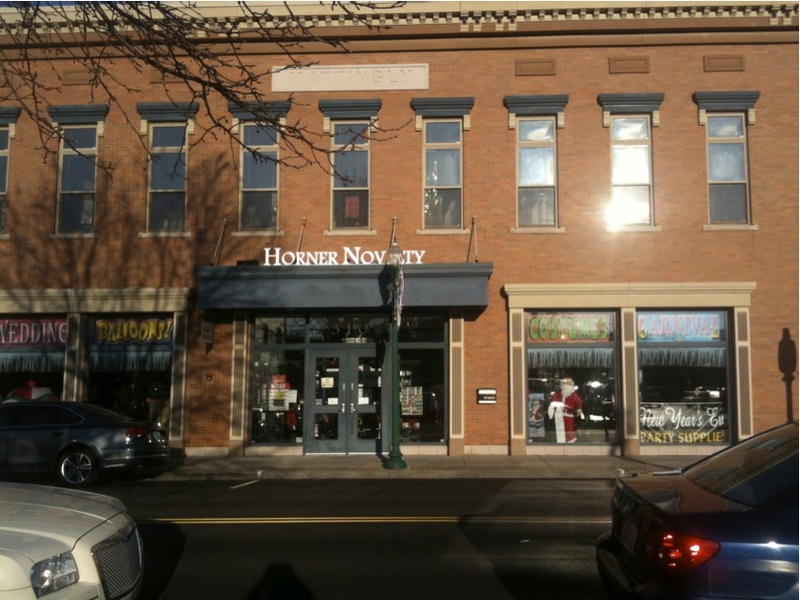 This entry was posted in Following in My Foodstops, The Past is Ever Present... and tagged Christmas, Jeffersonville Indiana, nostalgia, Schimpff's, Zaharakos. Bookmark the permalink.